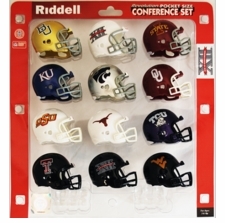 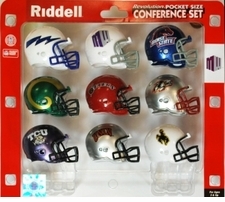 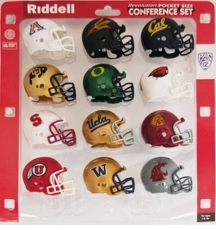 Pocket Size Helmet Sets 2" in size that include all of the major College Conferences. 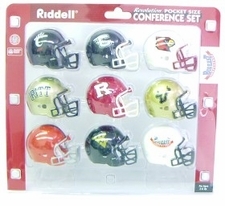 These Pocket Size helmets are NOT from a gumball machine and include interrior padding. 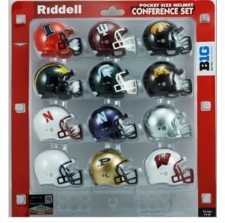 Choose from your favorite College Conferences and start collecting today! 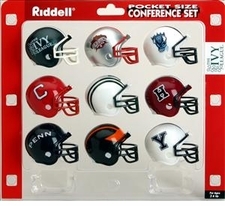 Find every major NCAA conference: ACC, Big East, Big 12, Big Ten, Ivy League, MWC, Pac-10, Pac-12, and SEC. 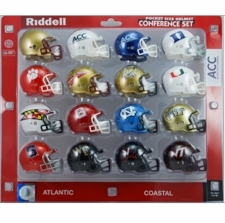 Don't hesitate - NCAA Conference Pocket Pro Sets are very popular items. 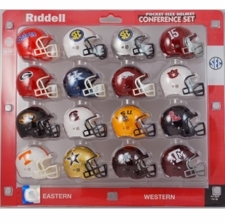 Order your NCAA Pocket Pro Conference Helmet Set today!